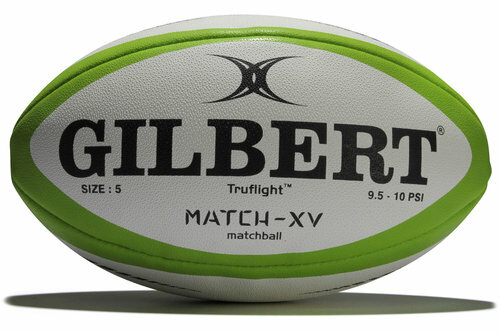 The pinnacle of rugby ball technology, enhanced grip covers Gilbert's Generic Match XV Rugby Ball. Retaining a number of key features from its predecessor, the Virtuo, the main difference is that the Match XV introduces a new surface compound specifically developed to improve grip of the ball. This material has also been created with improved surface water dispersion so you can tackle even the most demanding conditions. Hand-stitched and pre-kicked, this size 5 match rugby ball is ready for match use straight away. For those of a technical interest, the Match XV benefits from a copolymer 'air-loc' bladder, multi matrix 3D grip, eclipse truflight valve; all aimed at creating the highest quality rugby ball from the industry leaders.